Kyle Damron, a recent Sierra College graduate, has been awarded a $1,000 scholarship by the Nevada County Chapter of the Retired Public Employees Association (RPEA). 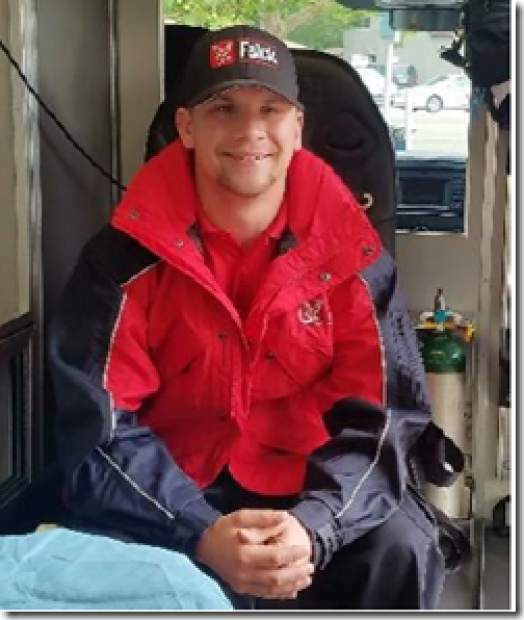 Damron has completed Emergency Medical Treatment training, is currently working full time as an Emergency Medical Technician and aspires to be a paramedic for a fire department. He has worked for three years for the nonprofit Career Technical Student Organization serving over 4,000 health education students in the State of California. He will be transferring to California State University, Sacramento next year to pursue a Bachelor of Science degree in healthcare administration and a paramedic license. This scholarship is the first to be awarded by the Nevada County Chapter of RPEA. In 2015, the membership unanimously voted to establish a scholarship program to support college students seeking a career in public service, with funding to be provided entirely by voluntary donations, primarily from our members. Having obtained approval by the Sierra College Scholarship Foundation, the program will award one $1,000 scholarship per academic year, paid out by semester.